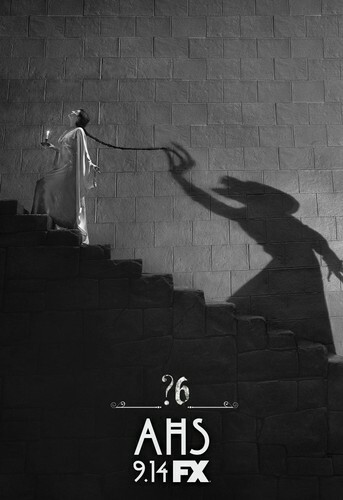 'American Horror Story' Season 6 Promotional Poster. . HD Wallpaper and background images in the American Horror Story club tagged: photo american horror story ahs season 6 promotional poster 2016. This American Horror Story photo contains tanda, poster, teks, papan hitam, and chalkboard. There might also be jalan, tempat kejadian bandar, tetapan bandar, menetapkan, bandar tempat kejadian jalan perbandaran, bandar, menyeberang, and cross.